The revamped Student Recreation Center at University of California Riverside (UCR) has become a hub of positive energy – strengthening campus culture, promoting health and wellness across campus, securing design awards and also serving as a new campus icon for UCR. 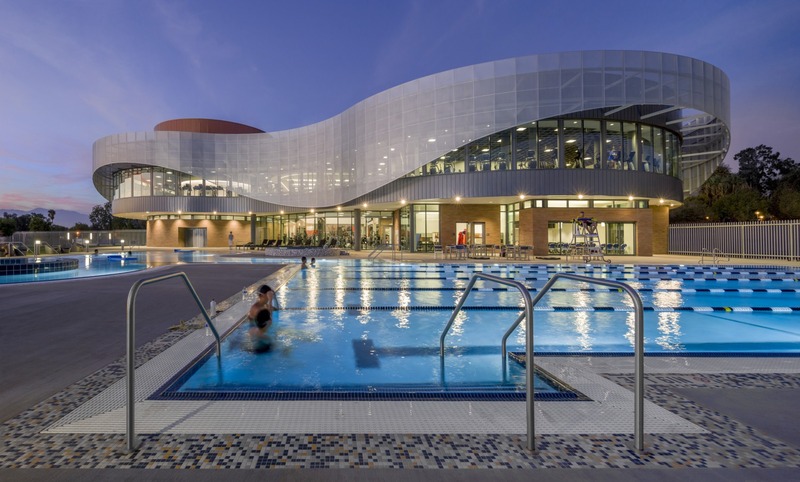 The new facility allows for key synergies across recreation, intramurals, student health services, counseling, housing, dining and other student resources while also boasting a striking swimming pool, bouldering wall and other amenities. One of the drivers for this successful effort is Lindy Fenex, Recreation Director at UCR. Proud of the building’s success on campus, Fenex has joined our own Jenny Delgado at conferences (Including this week’s NIRSA Triventure) to talk about how they successfully partnered to achieve the project’s goals. Organizations like the National Intramural-Recreational Sports Association have recognized UCR’s new center as a stand out effort. Our team recently caught up with Lindy to talk about trends in recreation design, student engagement and personal fitness efforts. CD: For starters, why are you passionate about collegiate recreation? LF: There are two primary reasons I’m so passionate about college recreation. Firstly, I was a “gym rat” all through my college years and one of the most important things I loved as a recreation participant was how it was open to all – everyone could participate regardless of ability level. Recreation really brought people of many different backgrounds together in pursuit of common interests. I made a lot of friends through my participation in recreation programming and it really made my college years more enjoyable. Secondly, I wanted to do what I could to provide every student the opportunity to have the same kind of experience with recreation as I did, so getting involved as a recreation professional has been my way of giving back. CD: What do you see as the biggest opportunities for college recreation in the next 5 years? 20 years? LF: The biggest opportunity I see is that students truly value the facilities, programs and services that recreation provides and general students are not averse to funding it. This level of support from students can potentially translate into program and facility growth and, of course, more opportunities for us to serve our students’ needs. I think this is a trend that we as recreation professionals can take pride in and feel very good about. CD: How do you think college recreation centers will be different 0 years from now than they are today? LF: There are three significant ways I think recreation centers will be different. First, I think technology will drive a lot of change as it becomes a much bigger aspect of how recreation centers meet users’ needs. When I reflect on the amount of technology that went into our expansion project, I am literally astounded. College students today are so adept at the use of technology and their expectations on how it should serve their needs is an important trends we need to follow. Recreation center infrastructures will need to build in the necessary capacity for switches, cabling, raceways, wireless connectivity, etc. to meet this type of demand. Secondly, flexible multi-purpose room spaces have become much more important as rising demand for spaces that can serve fitness classes, dance groups, martial arts and other activities requires a greater ability to maximize programming in limited space. Thirdly, the rise of personal fitness and general wellness is another trend which I believe will drive changes in program and design concepts. For example, we more than doubled our fitness center square footage with our expansion project and included an instructional kitchen to allow us to stay congruent with this trend. I don’t know that kitchens will always end up in recreation centers, but having the ability to provide cooking classes on a variety of styles including healthy, ethnic, vegetarian, vegan and fun treats like cookies gives great opportunities to teach students about the importance of good nutrition and the impact it can have on students’ academic careers. Let’s face it, a steady diet of Top Ramen and fast food doesn’t contribute much to a good mindset for academics. CD: What makes a stand out recreation center? Does design play a role? LF: Design is absolutely critical to the making of a stand out recreation center. I believe that a stand out recreation center is one in which the design is thoughtfully crafted to meet the needs of its unique student body. I tend to think there is a template out there that if a recreation center has components 123, ABC, and XYZ then it will just be great. Certainly there are common threads which all recreation centers should have, but to really stand out the rec staff and the design team ought to make sure the program and associated design respond directly to the unique needs and desires of the students on that specific campus. 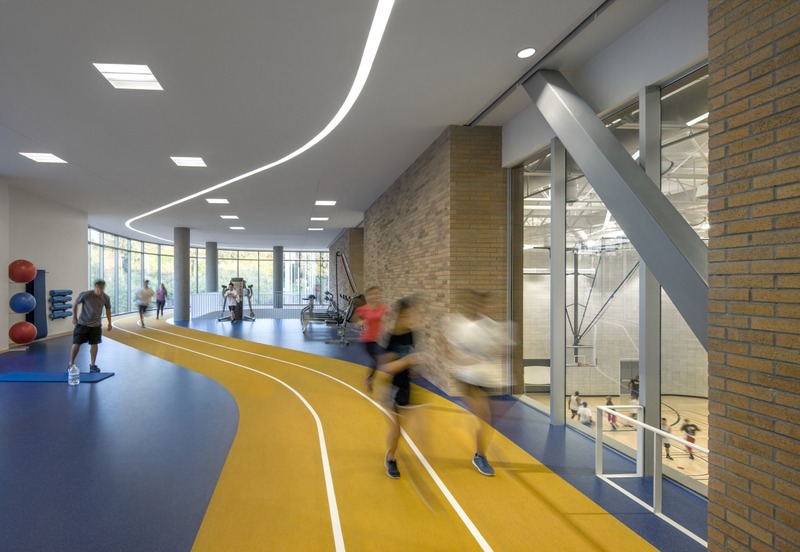 Understanding the campus recreation culture is an important piece to get right as it should have a dramatic influence on both the program and of course, the design. If that is accomplished, then the center will “stand out.” Ideally, you want your students to walk into that recreation center and feel like it was designed just for them. After all, our students are going to be the primary users – that’s who we want it to stand out to and for always. CD: How do you define success for your college recreation program? LF: For me, success is rooted in student participation and positive outcomes. We want the vast majority of our students to be actively engaged in our facilities and programming and beyond that – we want their participations to have a positive impact on their lives. Our hope is that they develop greater personal fitness and health, make friends and connect with others who shave their interests, develop a greater sense of belong and community on our campus and achieve better performance in class – we just want to enhance their overall experience as a student here at UCR. 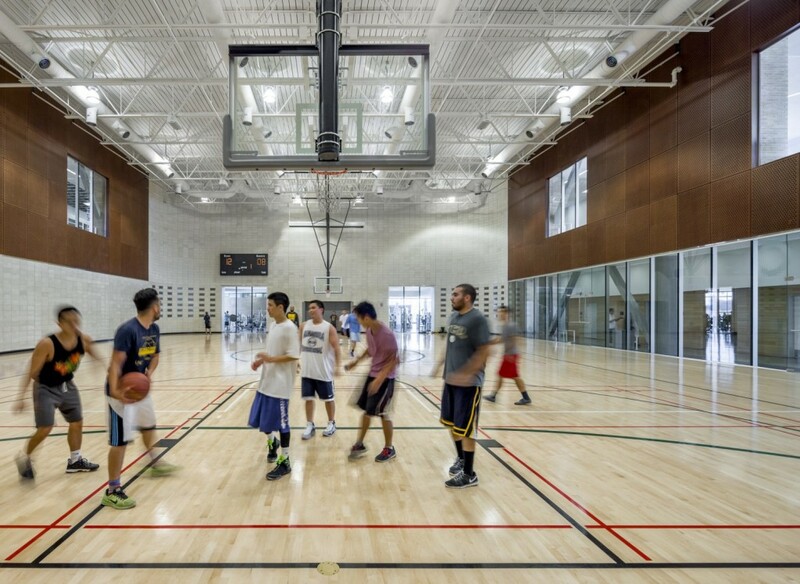 CD: What changes have you observed on campus since the opening of your new rec facility? LF: Well, our usage and participation rates have increased by around 40%, which is incredibly rewarding. Also, the quality of our expansion project as well as its iconic design has made it both the “talk of the town” and a very popular place to bring visitors. The shine hasn’t worn off at all yet. CD: Do you use the new recreation center? What’s your favorite part? LF: I do use the new fitness facilities, although not as much as I would like to be able to use them. I have recently started to brush up on my racquetball game to satisfy my competitive spirit. My favorite part of our new rec center is the 28’ x 17’ giant video wall we constructed – it dominates the visual landscape when you come into the building and is just incredibly impressive.